Roman Baths, established nearly 2000 years ago, were rediscovered in the 18th century and are one of the city’s most visited attractions. 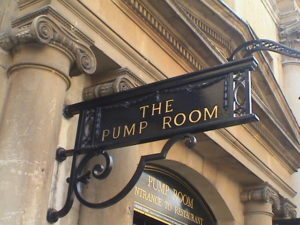 Next to the Roman Baths, the Pump Room is a genteel, civilized way to enjoy a little old English charm. The author Jane Austen danced here many a time in her years in Bath in the early 1800’s, when it was a ballroom. Great to stop here for morning or afternoon tea, or lunch, after a visit to the Baths.